It is important that the carpet matches the drapes, or in this case, the furniture! A good carpet clean can make a house or business look fresh and vibrant, so make sure your furniture enhances this feeling instead of detracting from it. 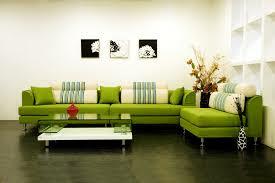 StayClean offers upholstery and leather cleaning than can brighten up your furniture. A high quality upholstery clean can make old dull furniture look new again, and will provide new life to your couches and a sense of crispness to your cushions. Cracked, tired leather furniture can be made glossy and bright once more. Stay Clean’s leather cleaning services will add polish and new life to leather furniture. Our qualified technicians are more than happy to assist and recommend a cleaning procedure to suit the individual fabrics on your lounge, sofas and chairs or recliners. We also clean dining chairs, stools and office/study chairs. All our technicians are certified under the ACCI and observe the codes of practice that will properly raise the standard of your furniture. Although we are based in Wollongong, we can offer upholstery and leather cleaning services to many properties and businesses across the Illawarra, from Helensburgh to Shell Cove. For a professional, quality furniture clean from the premier carpet cleaning company in the Illawarra, contact us today! We can provide a free over the phone quote or we can organise a visit to assess the job.